Being Ethernet-ready allows for multi-terminal capabilities that will grow with your business. 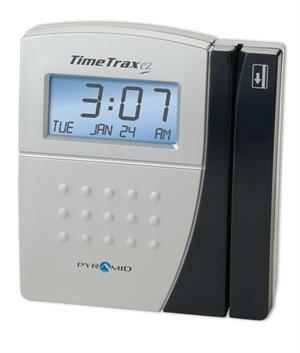 Simply connect the time clock unit up to any networked ethernet jack, and you’re on your way. The system accommodates 50 employees and is upgradeable to 500. NOTE - This is a terminal only - must have purchased the TimeTrax EZEK kit first to be able to add this additional terminal.